Lilas Moy, age 94 of Viroqua passed away peacefully at Creamery Creek Assisted Living on Monday April 8th, 2019. She was born Lilas Naomi Lothen in the town of Harmony, Vernon County, on January 6, 1925 to Lars and Nancy (Larson) Lothen. She was baptized and confirmed at Zion Lutheran Church and was a 1943 Viroqua High School Graduate. Lilas had an adventurous spirit and moved to Seattle, Washington to work when she was eighteen. In 1947 she moved to Anchorage, Alaska, to marry John Wood. Later they moved back to La Crosse to start their family. After John’s death in 1963 Lilas worked in various clerical positions and companies including Northern Engraving and La Crosse County Social Services. Lilas left La Crosse in 1970 when she married Harold Moy. He died in 1978. She worked in Eau Claire, Wisconsin at National Presto for 17 years, then retired and moved to Madison where she worked part time at the University. From there she moved back to Viroqua where she worked part time at Bethel Home office and later at the McIntosh Memorial Library.Lilas was an ambitious lady with many interests in life. While living in La Crosse she had roles as supporting actress in the La Crosse Community Theater. She was well-read and especially enjoyed reading and writing poetry. She also was an avid recipe collector and enjoyed cooking for her family. Lilas liked to grow flowers and plants; she belonged to the Viroqua Garden Club. She was very active in WELCA at Immanuel Lutheran Church. 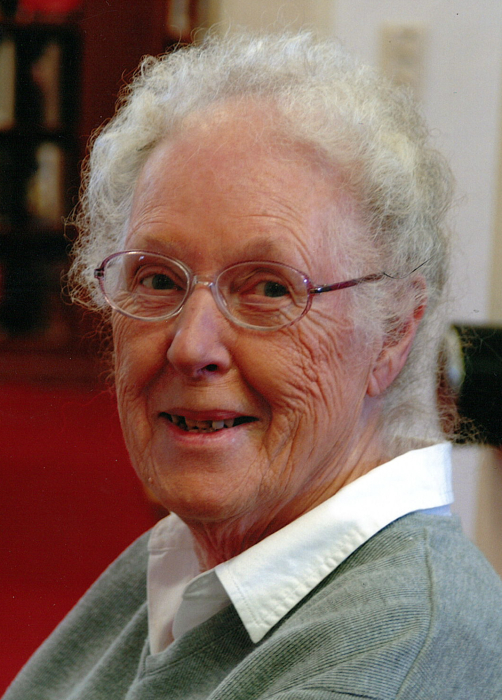 For many years she was a member of the Viroqua Literary Club; she greatly enjoyed the programs and spending time with the other women in the group. She is survived by daughters Julienne Wood (Samuel Shepherd) of Shreveport, Louisiana, Jennifer Wood (Vern Riddle) of Lanesboro, Minnesota and son John Wood of La Crosse as well as her extended family. Special thanks to staff at Creamery Creek, the Hospice team of Gundersen Lutheran and friends and family who visited and kept Lilas in their prayers. All of you helped make Lilas’ final moths comfortable and peaceful. A memorial service celebrating Lilas’ life will be held on Saturday, April 20th, at 2 p.m. at the Immanuel Lutheran Church in Viroqua with Pastor Meg Hoversten officiating. A time of fellowship will be held following the service. Per Lilas’ wishes, a private family burial took place in the Viroqua Cemetery. Condolences may be left for the family by visiting www.thorsonfuneralhome.com. There's still time to send flowers to the Celebration of Life at the Immanuel Lutheran Church from 2:00 PM to 3:00 PM on April 20, 2019.